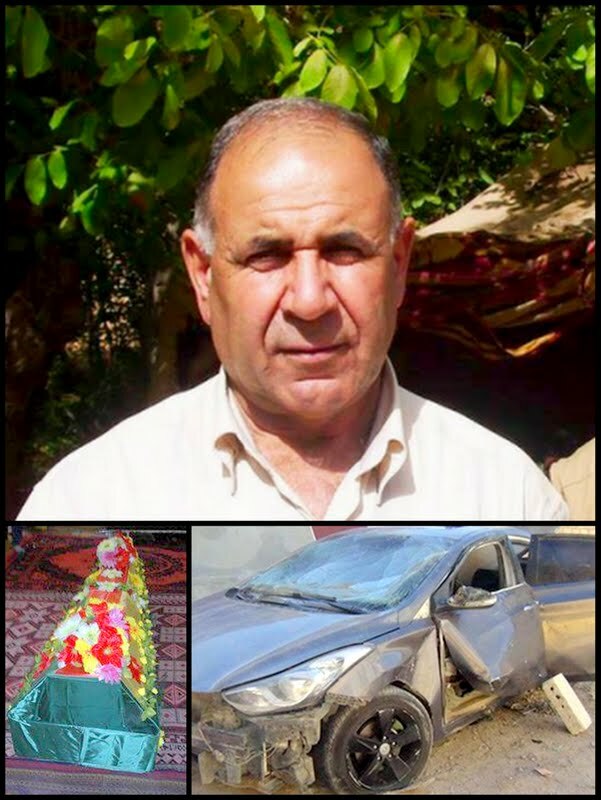 Yesterday’s assassination of Isa Huso, a prominent Syrian Kurdish politician, in Syria’s northeastern town of Qamishli falls into a category police call whodunits-murders. They are called such because they are notoriously tough to solve, there is more than one potential suspect, with each having a distinct motive. (2) Al-Qaeda-linked militants from the Islamic State of Iraq and the Levant (ISIS) and Jabhat al-Nusra, who are trying to rest control of Syria’s oil-rich Kurdish areas near the border with Turkey. In a way, the two potential suspects are connected. The al-Qaeda-linked organizations were a creation of the Damascus government, designed to discredit those who oppose Assad and to hide the regime's own brutal tactics. This reminds me of the notorious “قناص” -- Arabic for “sniper” -- in the years of Lebanon’s civil war. Between 1975 and 1990, the Syrian army often planted a sniper on a Beirut rooftop to shoot at one side in the conflict, then the other, to keep them fighting. Isa Huso, 60, was a member of the Higher Kurdish Council, aimed at bringing together Syrian Kurdish groups, and an opponent of Assad. Syria's main Kurdish militia later issued a call to arms to all Kurds to fight jihadists operating in the north. It follows weeks of intense fighting between jihadist groups and Kurds, who make up a little over 10% of the population and are largely concentrated in northeastern Syria, towards the Turkish border. Huso was leaving his home in the border town of Qamishli when a bomb planted inside his car detonated. He was a member of the foreign relations committee in the Higher Kurdish Council, an umbrella group for regional Kurdish factions. "Huso sought to promote Kurdish rights within a united Syria free from the grip of the Assad regime," his former neighbor, Massoud Akko, told Reuters news agency. “No-one knows who killed him but the fingers point to the militant Islamists. They are the only ones who are targeting Kurds as Kurds,” he added. Responding to Huso's killing, Kurdish fighters known as the Popular Protection Units (YPG) issued a call to arms. “(The YPG) called on all those fit to carry weapons to join their ranks, to protect areas under their control from attacks by Islamic State of Iraq and the Levant (ISIS) fighters, al-Nusra Front and other battalions,” said a London-based Syria watchdog, the Syrian Observatory for Human Rights. The YPG, which claims to have no political affiliations, was set up to counter offensives in majority Kurdish areas. In recent months it has been battling to drive out rebels from the north, including the al-Qaeda affiliated al-Nusra. Areas near the Turkish border have seen some of the most intense fighting, with clashes reported between the strongest local Kurdish group, the Democratic Union Party (PYD), and al-Nusra in the town of Ras al-Ain. The PYD has said it aims to set up a local council to run Kurdish regions until Syria's war ends. PYD leader Salih Muslim reassured Turkey last week that his group’s call for a local administration in Syria’s Kurdish regions does not mean it is looking to divide Syria. Muslim, who flew to Ankara from Erbil, told the media he was in Turkey to allay Ankara’s concerns over Kurdish separatism, and to explain why Syria’s Kurdish regions needed a local administration. Muslim told Turkish officials a local administration would include other ethnic groups such as Christians, Turkmen and non-Kurds who live in the Kurdish-majority areas of northeastern Syria. Muslim’s visit appears to have eased suspicions between Syrian Kurds and Turkey.